So see that little sheep stitch marker? I had earrings made out of those same charms and promptly lost one! I am having another set made, as I really love the charm! Nerd Girl Random Fandom...Blinky, Pinky, Inky and Clyde....what a throwback! 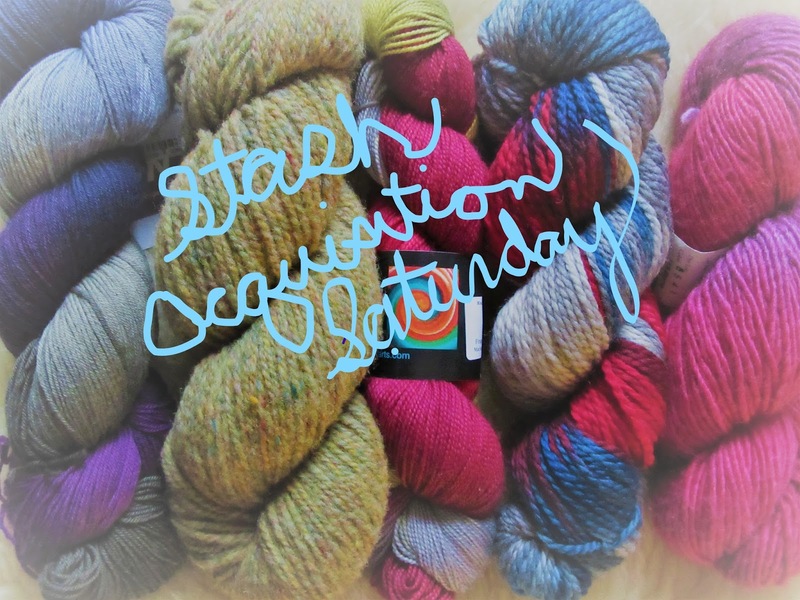 I think this might be all.....right now I have yarn everywhere.....and I am trying to be good....as I have CT Sheep and Wool AND Stitches United coming up in April and then Mass Sheep and Wool in May.....I think NH Sheep and Wool is coming up too.....yep, that's also in May!!!! Do you have stash to share? The stitch marker is adorable, and I love the Blinky, Pinky, Inky and Clyde yarn. Those colors!